It’s cold out so there are more soups on my table this month. 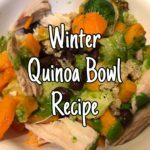 I am sharing two more soups you will want to try this winter. 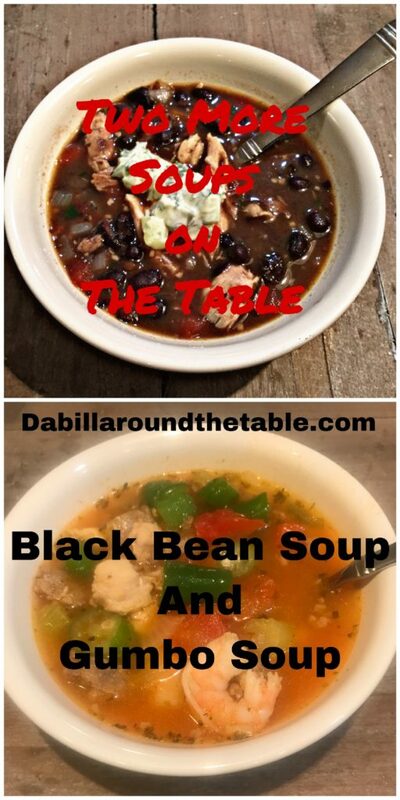 Two more of my favorites soup recipes your family or company may enjoy. 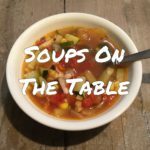 If you want to learn why I make soups a regular part of my menu, check out the blog on Soups on the Table. This is my husband’s favorite soup. It has three kinds of meat in it. One is shrimp, so if you are a shrimp lover this soup is for you. If you are allergic to shrimp, just take out the meat you can’t eat. The other two meats are chicken and sausage. This soup fills you up and tastes delicious. I love the brown rice and how the flavors blend. 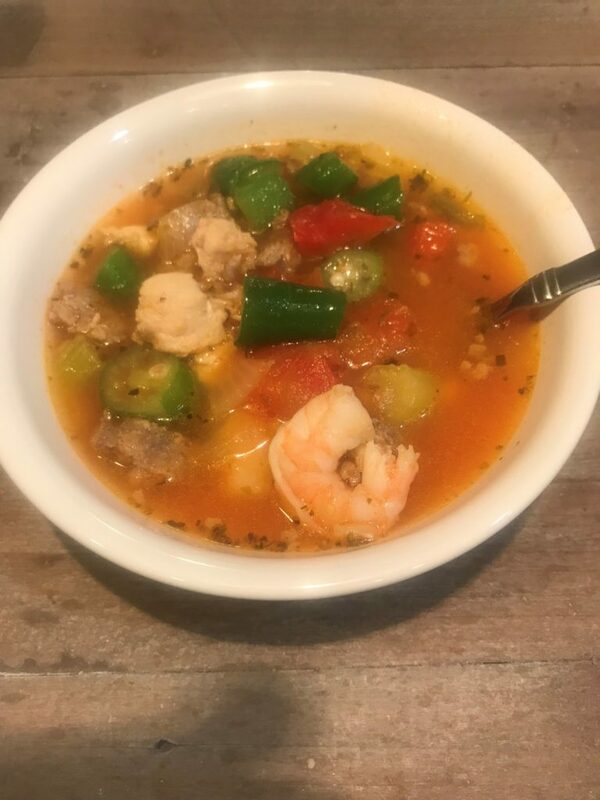 The other ingredients include spices, italian sausage, chicken, tomatoes, broth, brown rice, and okra. 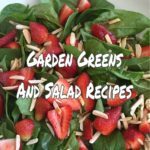 Enjoy this soup with a salad, mandarin orange or raw veggies. 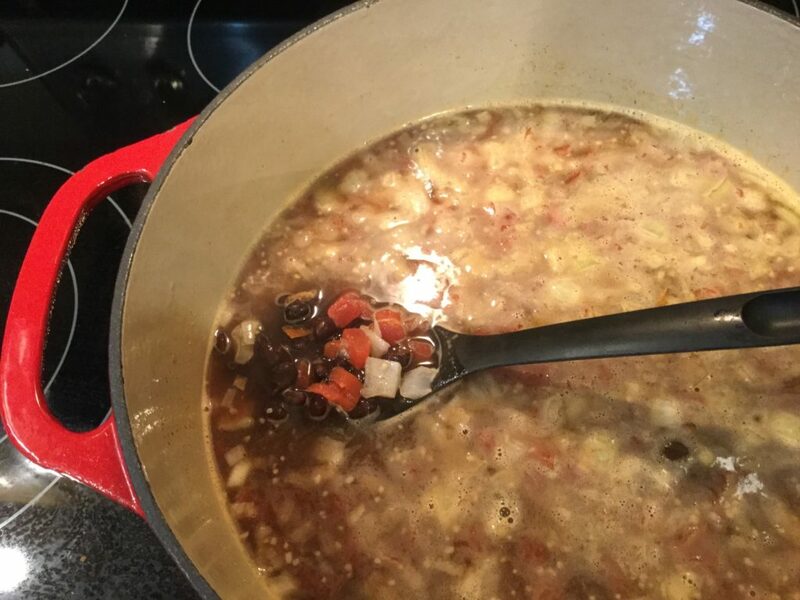 My kids were not in love with this soup at first, but they have grown to like it. Yes, it’s gluten-free. 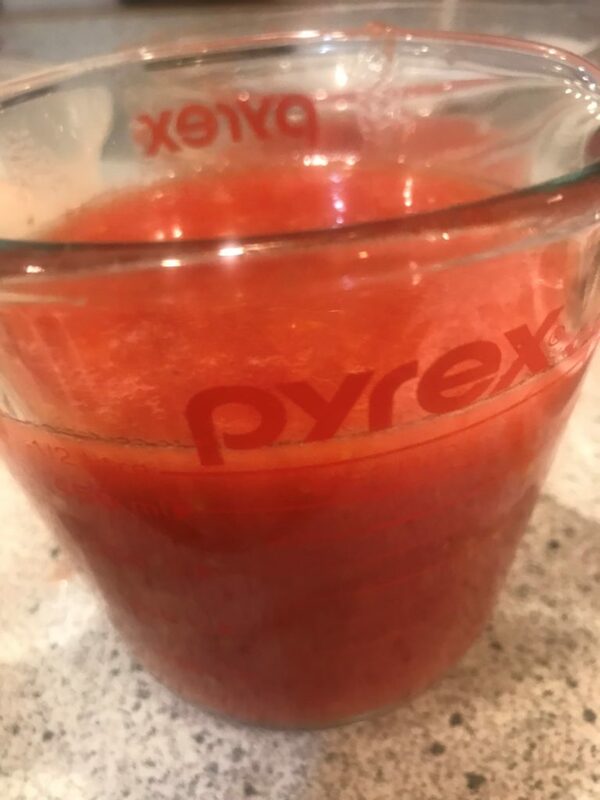 I use my frozen tomatoes and replace 1 can of tomatoes with 2 cups of my frozen tomatoes blended down with an immersion blender. 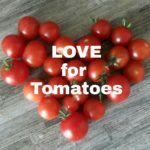 See post on Love for Tomatoes. This recipe calls for Okra. If you have never had it before try it. I have made it without it, but my soup never really thickened. The Okra has a natural thickener in it. (Slimy center if you touch one after cooking.) If you are unsure. Try only 1 cup of Okra to thicken your soup. 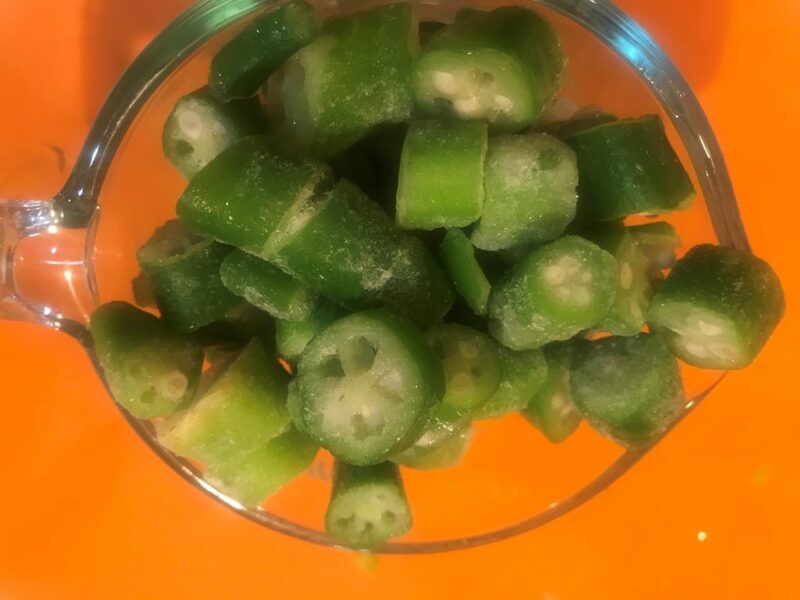 Okra contains the nutrients: potassium, Vitamin B, K and C, folic acid and calcium. 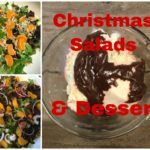 It is low in calories and high in dietary fiber. It is an anti-inflammatory, antioxidant, has phytochemical benefits and helps with digestion. In a large pot or dutch oven brown sausage and chicken cubes. Remove meat with a spoon and use drippings to sauté the onion, celery, and pepper until tender. Add spices. Add Broth, rice and sausage/chicken. Bring to boil. Reduce heat cover and simmer for 20-25 minutes until rice is done. 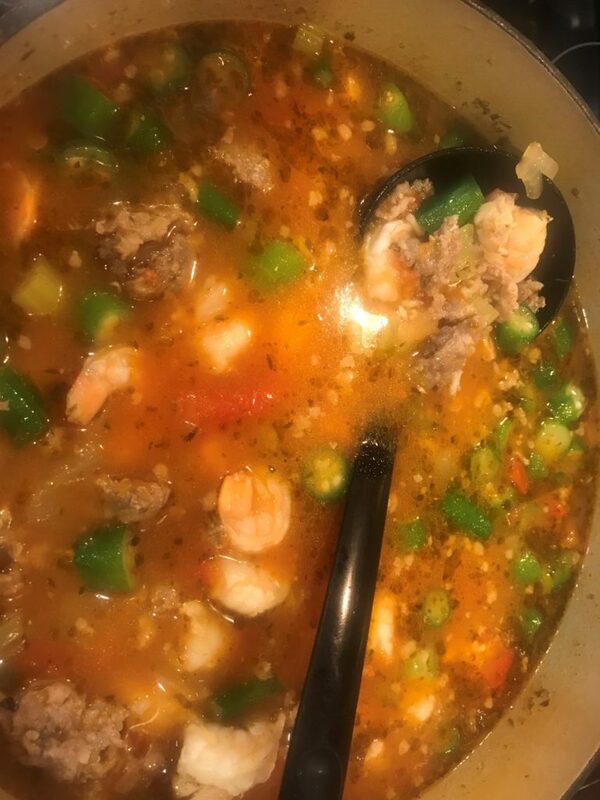 Stir in tomatoes, shrimp and okra. Cook another 10 minutes until shrimp turn pink if using uncooked shrimp. 16 cups of soup. Serves 8-10. Calories: if using reduced fat turkey- 1 cup 190 Kcals. 2 gm fiber, 11 grams carbs 19grams protein, 7 grams fat. I like this soup because there are beans and tomatoes in this making it the bulk of the ingredients. It may look weird because it is thickened with blended soup, but its good. 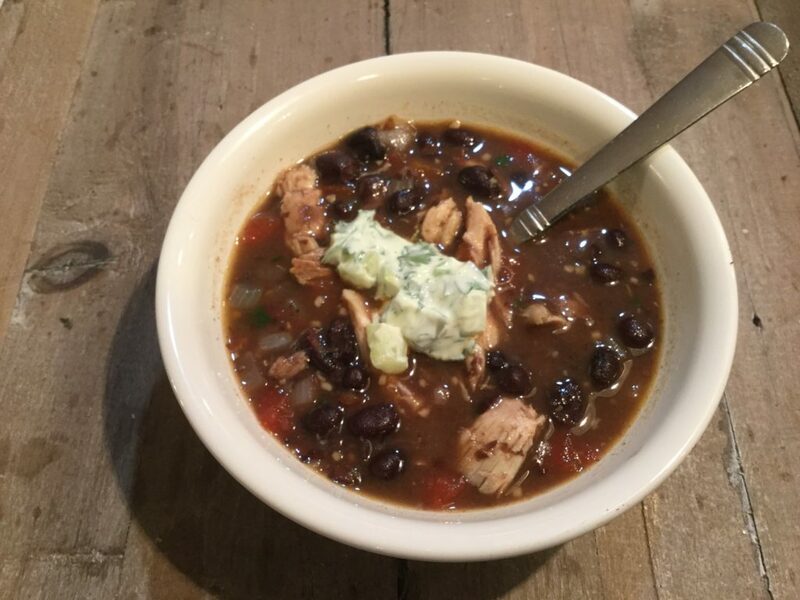 My son likes this soup and he especially likes the cucumber yogurt mixture/relish we dab on top to add texture and more flavor. You will need an immersion stick blender for this or simply pour 2 cups of the soup in the blender. To make this a vegan soup, do not add the meat at the end and use vegetable broth. This soup is gluten-free. I like to eat this soup with sweet potato crackers from Costco. 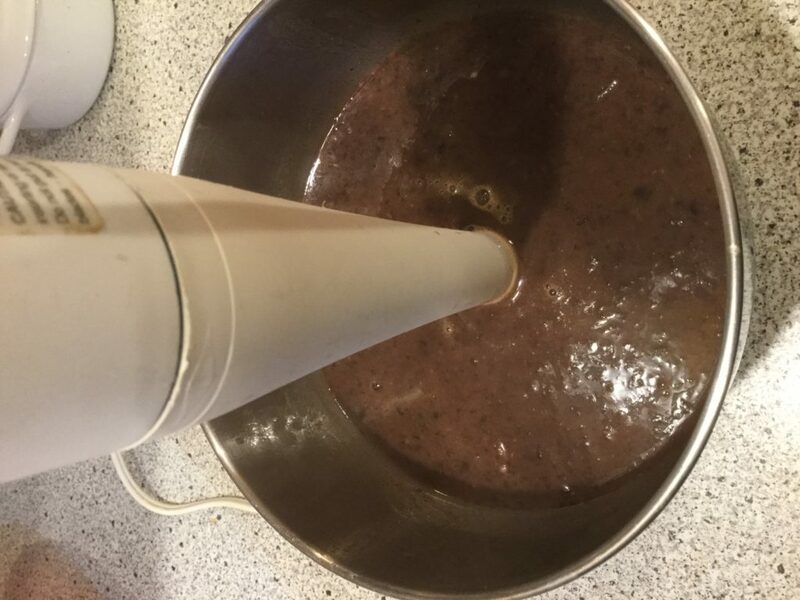 3- 15 ounce cans of black beans drained and rinsed. Or your own precooked black beans. 2-3 cups shredded cooked pork or chicken. Both are good. Sauté onion in oil until tender, add garlic and sauté for 1 minute. Stir in broth, beans, and tomatoes. Boil and reduce heat and simmer for 10 minutes. Take out 2 cups of mixture and blend until smooth, then pour back into the pot or Dutch oven. Stir in the meat and lime juice and simmer 10 minutes. Serve with shredded cheese and a dollop of yogurt cilantro relish. 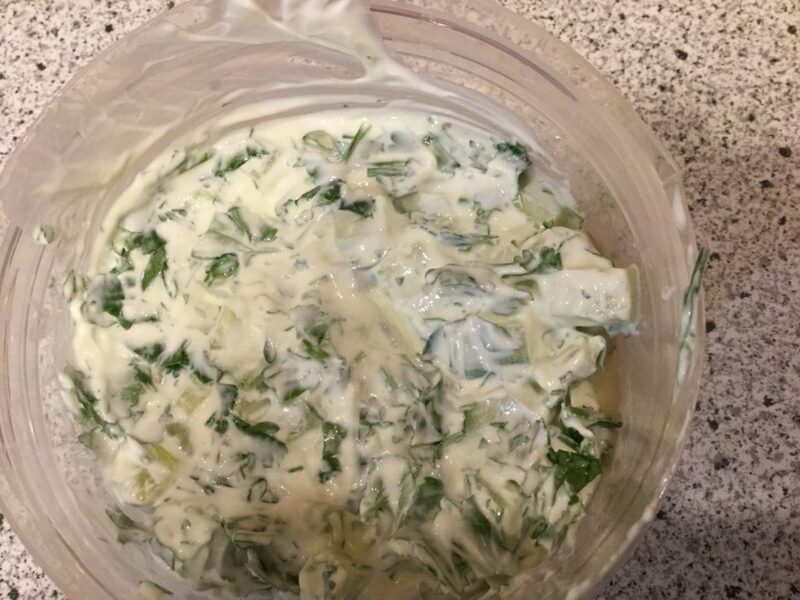 2 cups chopped cucumber- English cucumber or seeds removed. Mix and dab on top of soup when serving. 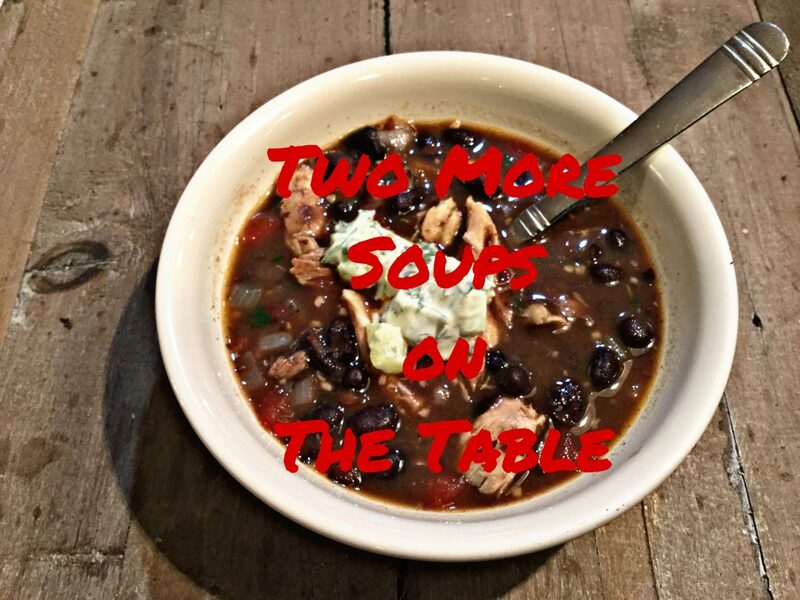 Enjoy two more soups this winter. 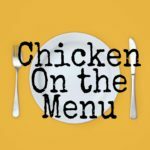 If you missed the Soups on the Table post see this link for soup recipes.